A DIY deck makeover is a fantastic way to rejuvenate your backyard and practice your woodworking skills all at the same time. But before you decide to do it all yourself, it’s important to plan ahead and make sure you can finish what you started. To make your decision easier, we’ll show you how to remodel a deck from start to finish. Step #1: Does Your Deck Need a Makeover? An honest assessment of your deck’s condition is essential to figuring out whether your deck needs a remodel or not. Can you make a few repairs here and there and call it new? Or are there serious structural flaws that require a complete remodel and rebuild? Is your deck looking a little rough? It may be time to remodel. Look at areas where your deck meets the ground to check for rot and other structural damage that will need to be repaired in either case. You can tell if a particular section of your deck needs to be replaced by feeling around for damp areas and sticking a screwdriver into the wood. If the screwdriver penetrates up to a 1/2 inch, you can simply apply a sealant to keep the wood from rotting any further. If the screwdriver goes in beyond a 1/2 inch, then you’ll need to replace the entire piece of wood. Repairing bits and pieces will only get you so far. If several areas of your deck are damaged or decaying, then you will need to demolish the entire structure and start over with a fresh deck remodel. Step #2: Hire a Contractor or Do It Yourself? This is a question every homeowner asks themselves when thinking of remodeling their deck. If you go the DIY route, you can potentially save hundreds of dollars by cutting out the cost of labor. On the other hand, a deck remodel requires a lot of skill and a lot of time. Even a relatively small deck makeover can take 1-3 weeks or longer to finish for a professional. If you have the time and know-how to devote to a deck remodeling project, you should still have a licensed professional come out and inspect your existing structure. They’ll be able to point out structural weaknesses such as sinking footing, poor construction, or areas where dry rot has set in. 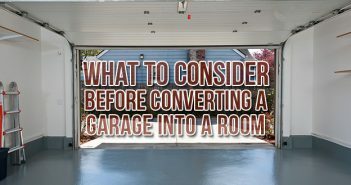 This may seem like an inconvenience, but it will pay dividends down the road by helping you avoid future repairs. So you’ve set a course of action. Now you’re ready to draw up your plans, get your materials together, roll up your sleeves and…do some paperwork. Yes, before any big build or remodel, you always need to check with your city or county building department to figure out what permits you need. At the very least, you will need to obtain a construction permit. If your plans call for electrical or plumbing work, you will most likely need separate permits for these installations as well. 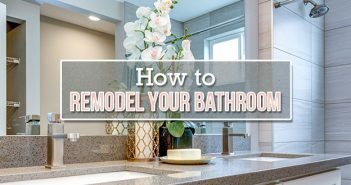 In some cities, you will need to have a professional remodeler file the permits on your behalf, but others will allow you to submit them all yourself. Use the Right Wood: Pressure Treated Lumber is the most common wood used in deck remodeling. However, there are more attractive options available such as Cedar or Redwood. Artificial materials, such as Trex or Fiberon, are another option if you are looking for a low-maintenance alternative to a wooden deck. Maintain Stability: One of the biggest disasters that can befall your deck is an improper foundation. While redoing your deck, you’ll want to check the existing foundation and ensure that there are no structural weaknesses such as cracks or splits. Ensure Proper Drainage: If your deck is elevated you’ll want to install a proper drainage system that will wick away rain water and plant debris. There are many pre-built drainage systems that can be easily installed underneath your deck, just be sure to get the right size for the total square footage of your deck. Measure Twice, Cut Once: This old adage is your friend. Recite it in your head every time you grab your ruler or saw. It will make the long process of cutting deck boards and posts a lot easier and avoid a lot of headaches. Footing Inspection: If you are redoing the foundation or deck footing, you will need to have a city inspector come inspect the new footings before pouring the concrete. This will ensure you have a solid foundation for a completely up-to-code deck. Sand down your new deck to remove any rough spots before applying the stain. Water and cover up any plants surrounding the deck as plants generally do not react well to the chemicals in stains and varnishes. Cover up your home’s siding with paper or plastic in case of spills or wayward streaks. After prep is done, stir up your stain and start applying it to each deck board in thin coats. Do not allow the stain to pool or you’ll end up with sticky spots and discolored boards. Moderation is key; its better to have several thin coats than to have a couple of heavy, sticky coats. Most deck stains will be dry enough to walk on within 4 hours, but the stain will not completely cure for another week. After that, you can start placing furniture and plants on the deck. Make sure to call for a big dumpster to haul away all the wood debris from the deck demolition. Make sure a city inspector comes out to give your brand new deck a final inspection and the official seal of approval (AKA a Certificate of Occupancy). 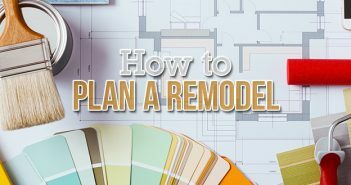 You should also check out our DIY home improvement guide if you plan on remodeling more than just your deck!